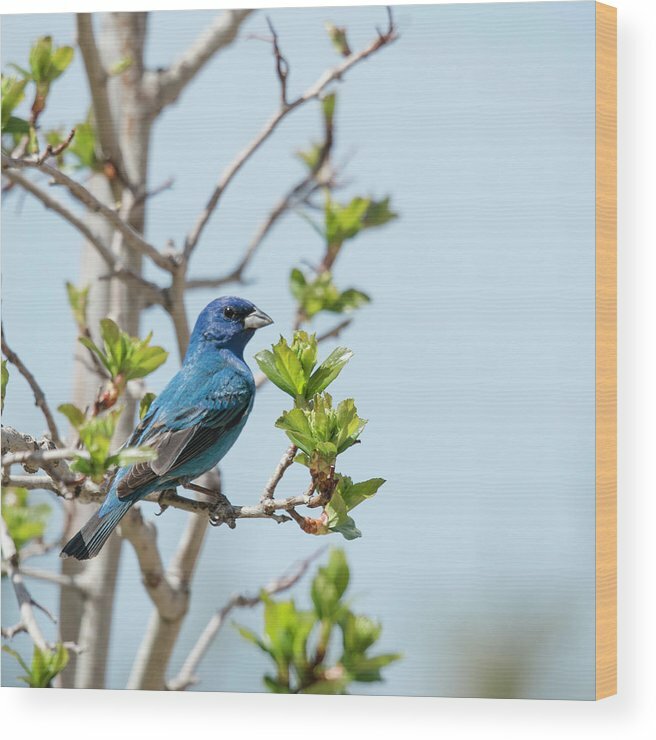 Indigo Bunting - Songbird 3 by John Bartelt - 8.000" x 8.000"
Indigo Bunting - Songbird 3 wood print by John Bartelt. Bring your artwork to life with the texture and added depth of a wood print. Your image gets printed directly onto a sheet of 3/4" thick maple wood. There are D-clips on the back of the print for mounting it to your wall using mounting hooks and nails (included). 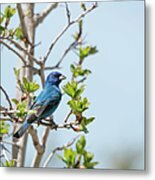 This image presents a right side view of a male Indigo Bunting, a small sparrow-sized bird with a short, thick, conical bill. 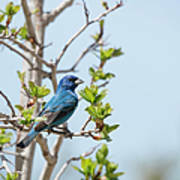 The male is a vibrant blue in the summer and a brown color during the winter months. It displays brightly colored plumage during the breeding season to attract a mate. The female is brown year-round. Nest-building and incubation are done solely by the female. 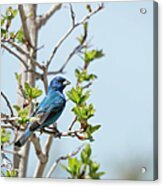 The diet of the indigo bunting consists primarily of insects during the summer months and seeds during the winter months.